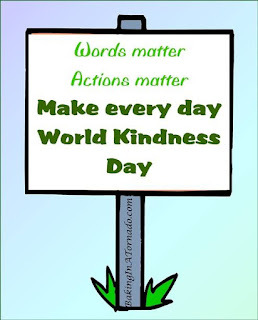 Now...part of what I stated has to do with what November 13th is in celebration of: World Kindness Day. 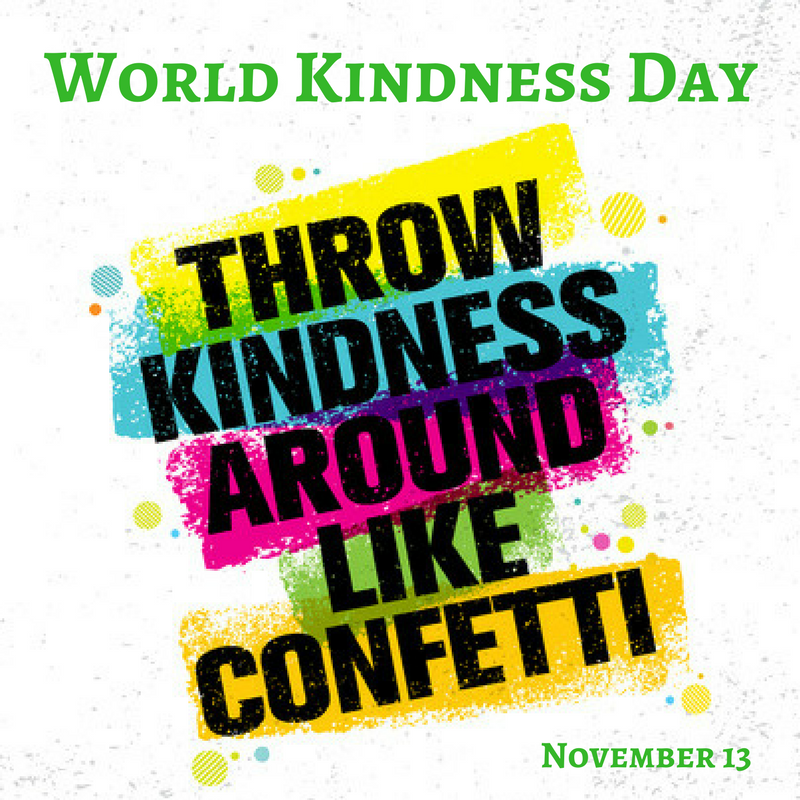 We could all use a little more kindness. I love this. It really made me stop and think. 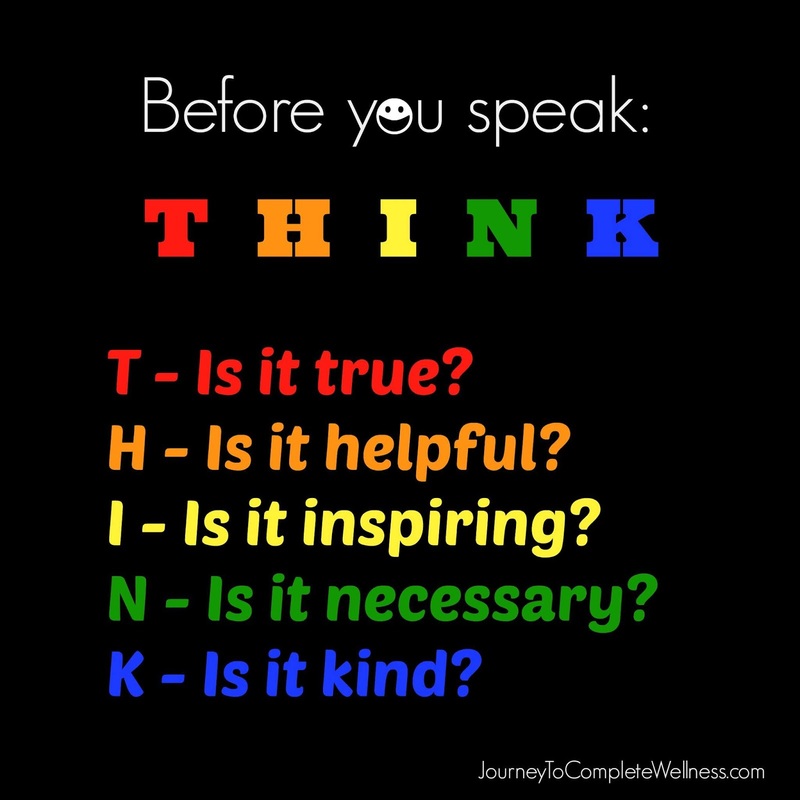 Sometimes we are quick to judge and that affects how we respond to someone, how we speak, and especially how we see them and not just physically. I had to ask myself these questions before I spoke, was it true? helpful? inspiring? necessary? or kind? And sadly often times I found it was not. So I decided to keep my mouth shut. Not an easy task. Our world is filled with sadness right now, more so than ever. It could be because we can see it now. Oh we saw it before, but now we see it as it unfolds. Bullies picking on kids on the bus because someone is recording it and uploading to YouTube or Facebook. People committing crimes and videoing the entire time like they are actors in a play. We are surround by social media and flooded with scenes from accidents within minutes of it happening sometimes before the next of kin has even been notified. Are these things kind? No. Are they necessary? No. Are they inspiring? Definitely not.True? Maybe but helpful? No. What would happen if for just one day...ONE DAY, we all used the acronym above? Do you think it would make a difference? Would it change something inside of you? Me? The world? It sure would be nice if we tried. Just last week I found I had not been near my laptop all week. Why? Because I was avoiding it. The TV had been off and once in a while I'd scroll through FB on my phone. I was avoiding social media. Why you ask? Because I was sick of all the violence, all the mud slinging, all the name calling, all the well meaning folks throwing their opinions out for the world to see. I was just tired of it all. So I made a decision. I would post the Amber Alerts because those are important and helpful. I would share about the weather, what I was doing and eating. I know y'all love those food photos! LOL but mostly I would be sharing inspiring, cute or funny videos only. Because I was just sick of all the junk floating around. Remember when that is what Facebook was for? Remember all the cute baby videos, the cats, the AFHV post, the jokes, and the pokes. Just to say "HI" to a friend. Where are those days? We say we use FB so we can keep up with friends and family far away. Do we really? Do we keep up with them? Talk to them? Message them? Or are we just trolling FB to see what the Jones are doing and then post our dinner/outing photos too? There's nothing wrong with sharing your life, I do it. There's nothing wrong with the videos and "likes" on a post. But maybe, just maybe we could stop our busy lives just long enough to actually type out "hi, wondering how you are today" because it seriously could mean life or death to someone battling demons we are not aware of. Your smile could save a life. Your "hi, how are you?" could give hope to the hopeless. Your "hey cousin just wanted you to know I love you" could give love to someone feeling unloved. Thanks for stopping by. 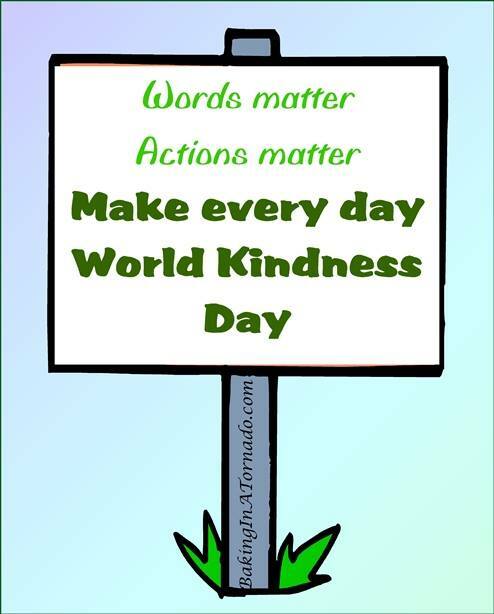 This post is a group effort to spread kindness. If you would, stop by and say HI to the other participants listed below. Oh, yes! 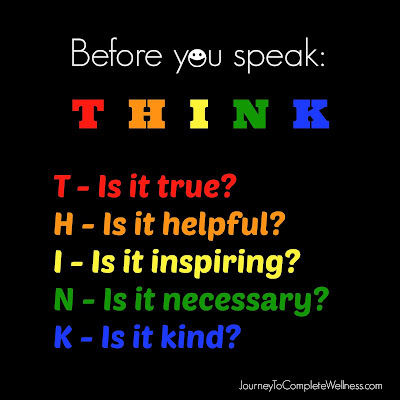 I love that "Before You speak . . ." meme! I'm going to use it! And the "Make America Kind Again" picture brought me to tears! Thank you for your kindness today, Dawn! You said it beautifully when you said, "Your smile could save a life. Your "hi, how are you?" could give hope to the hopeless. Your "hey cousin just wanted you to know I love you" could give love to someone feeling unloved", we never know how our actions can be desperately needed. We need to be the love the world needs. I know for me, a few years ago was a very dark place. Had it not been for my faith and 2 very faithful friends constantly checking on me, things might not be as they are today. I certainly understand the need to take a break from all that's going on, it's overwhelming. To me it's about 2 things, how we behave out in the world ourselves, as kids emulate behavior, and learning to STOP judging each other.